For our movie night last weekend, we watched HOP which was shown in our paid channel in HBO. We never got to watch this when it was released in 2011 so we were glad that HBO featured it in lieu of Easter celebration. This movie was directed by Tim Hill and produced by Chris Meledandri. The stars includes Russel Brand as the voice of E.B. , Hugh Laurie as Mr. Bunny, and James Barsden as Fred O'Hare. Hank Azaria as the voice of Carlos and Phil (Villains). This is a fun movie to watch with children, it is very entertaining and lots of lesson to learn. PS. My dear bloggie friends, pardon me for turning off the "anyone" option in comment as my dashboard is getting flooded with anonymous comments since yesterday on this blog. They dig every post I have and leave a spam comment as you can see in the following photos. Such a hyper spammer. Basing from the time log, in every second, ten comments are being posted, whew! Imagine sifting 2,361 comments in just 12 hours, that's quite a job lol. 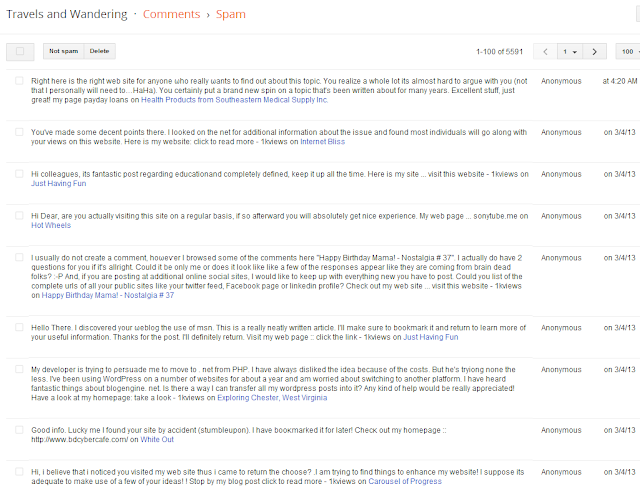 Take a look at the number of spam comments I have below, 5,591 arrrggghhhh.. When you comment, just click the "Comment as" drag down menu as they gave you the option to comment for Wordpress, Livejournal, etc. haven't seen a movie for such a long time, haaay, after work, when i get home, i cook dinner, and then, after dinner, i sit in front of my computer instead blogging, haha, and after an hour or two in the computer, my eyes so tired, i sleep early. i love watching children's movies though, i am always entertained. I am a fan of Hugh Laurie :) I missed watching this movie when it was released too....where in the world was I? must have been busy with career etc...it has only been lately that I have time to watch movies in the bit screen....these days I spend more time online hehe....this is a movie I would love to catch on HBO! basing from the awesome things you shared particularly the fact that kids will enjoy it makes it top on my list to see with the kiddos....love the photos on the left here :) the one with EJ in Korea and the father and daughter cutie bonding :D have a nice day! I love HOP! It's been a long time since I last enjoyed this movie. <3 Lately kasi, I'm preoccupied with school tasks. Tapos if I watch movies, hindi na yung mga animated. How I wish I could find time to enjoy this great movie. i haven't seen the movie either, but i bet this is very interesting and exciting for kids and adults to watch. I am kid at heart, so this kind of movie will be added to my To-watch list. 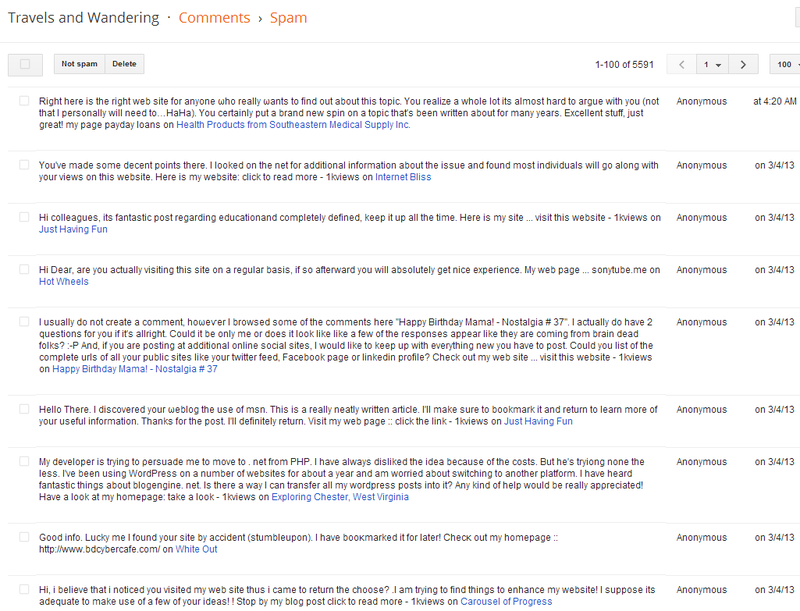 On the other note, I remember when I transferred my blogger blog to self-hosted blog, I received lots of comments. I was excited at first but I realize later those are spammers. And it's really a burden to review all the comments. Yes, very funny, I like! I am not really a TV person though my daughter loves it but we limit her movie time. Looks like a wonderful, entertaining family movie! Very colourful! On another note, I keep all my comments moderated now! I can't stand spam! I don't know this movie, but looks good for children. "For posts older 5 than days" Ever since I don't get a lot of spams. Never seen this one, but my apo did. And he told it's really nice. Take it from a 4-year old child. I'll let CJ watch Hop and see how he finds it. We love Hop, the movie. It's on on our 'most watched movies ever list' , hehe. How fun! I see splashes of orange here and he linky for OYGIF is now open. Hope you could join. Hello hello! Very interesting and colorful shot! 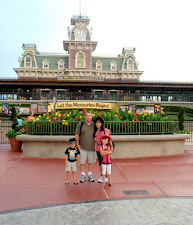 I have no children, but my husband and I rent all kinds of kid's/family/animated films!